Our farm shop will give you a true experience of buying local produce. Our meat is butchered in our own abattoir to the highest standard and our aim is to provide you with top quality meat that has great flavour, is succulent and tender. 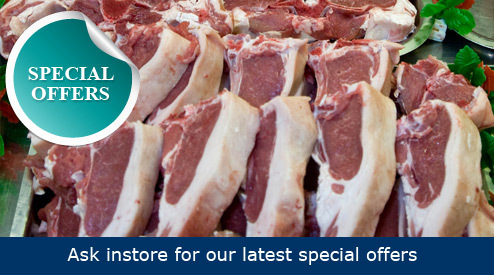 Redfern's skilled team of butchers are on hand to help advise and assist. 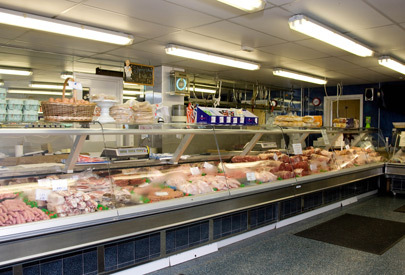 We offer a full range of Beef, Pork, Lamb and Poultry, including home cured bacon and an assortment of hand made, traditional and speciality sausages to satisfy any palate. We have a comprehensive range of cooked meats, fresh fruit and veg and by teaming up with local farmers you know that you are truly buying locally. Our shop is well stocked and has a friendly welcoming atmosphere.